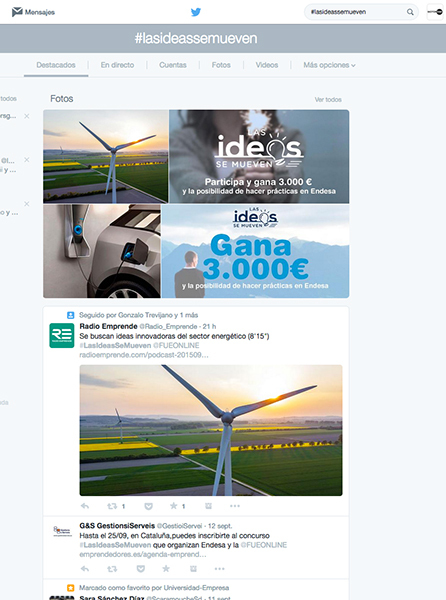 Employer Branding strategy for Endesa. We drew a employer brand strategy to connect Endesa with a young target. Ideas channeler and creative project developer would be the company positioning. 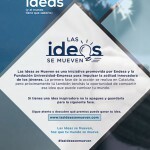 The first part of the strategy was the Las Ideas se Mueven contest for students. The ideas should be about the Endesa´s actuation areas and the prize was to take part in a year internship program in Endesa and 3.000€. We created a brand strategy to transmit the young public that companies are looking for creative profiles. 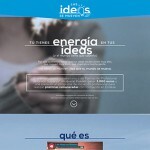 Endesa is energy and energy is based on ideas. We developed several actions to promote the campaign. On one side we focused the Media strategy on influencers, such as Gina Tost. A known blogger and youtuber in Catalonia, Spain. She would also will be the one who conducted the final event we developed in Barcelona. In addiction we planned guerrilla actions in some Catalonian universities to inform and encourage the students to participate. At the final phase of the campaign, from all the received ideas, the finalist ones were selected. We designed a customized van (The Endesa Van) in which the three finalist students, with an expert of their chosen topic and an Endesa executive, will discuss their ideas around Barcelona streets. The details were finally outlined at the company offices. With that, the winner was decide, and the 11th november announced in the event. What was the followed strategy? 1. We planned an Employer Branding strategy based in the Endesa values. Endesa talks about energy, light and movement, ideas are the base of all that. The world has change and who add value, add ideas. 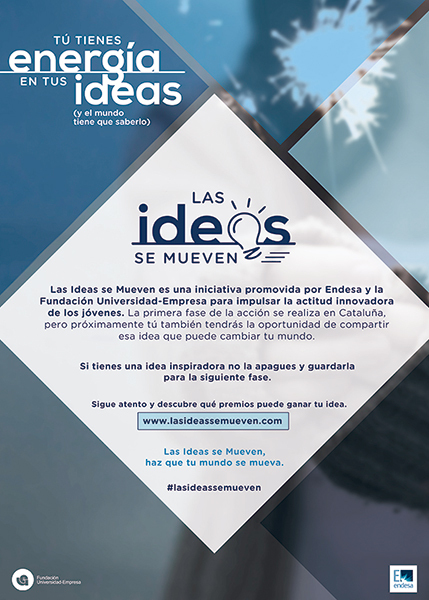 We established the brand territory in the movement generated by ideas and create the concept “Las Ideas se Mueven”. 2. We created an Ideas contest for students. They just have to have an idea and present it into the Endesa´s headquarters. The prize was a whole year internship at Endesa to know how the ideas move the world. 3. 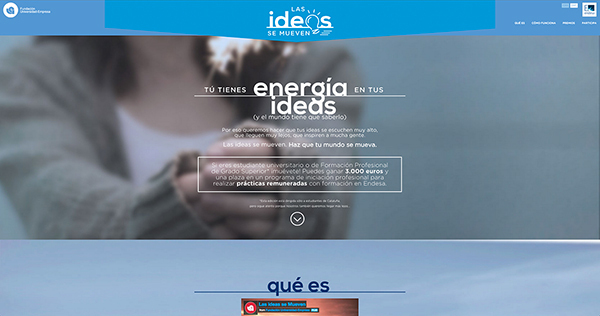 We create a brand platform for Endesa. 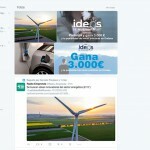 The strategy was based in ideas and from that moment on Endesa uses ideas as a base to achieve better profiles, talent and to its employer branding positioning. 4. We built a social environment for the brand. The social media environment began to receive impacts based in the ideas and the creative exercise. We sat the bases for a relationship with the influent social profiles that will allow us to take our employer branding strategy further than just advertising messages.